Box shrubs are more than just hedge plants that are perfect for low border hedges. They are a call for creativity, as box (buxus sempervirens) is the ideal plant for those who want to show off their topiary skills. Since box is an evergreen hedging plant and only grows about 10 to 15 centimetres per year, it will retain whatever shape you choose to cut your box shrub in for a long time. In addition, box shrubs are very tolerant of pruning, so you are free to let your imagination run wild. Would you like your box shrubs to have a geometrical shape, like a ball or a cube, or do you want to try even more complex shapes, such as animals? Feel free to experiment. Growing box shrubs is remarkably easy. As long as you plant the shrub in a soil type and a position that is not too wet or exposed, your box shrub will almost certainly feel at home in your garden. The species does have a preference for well-drained soils in a sunny or partially shady position, but it will even be able to cope with conditions that are generally considered difficult for hedging plants, such as deep shade or poor soils. 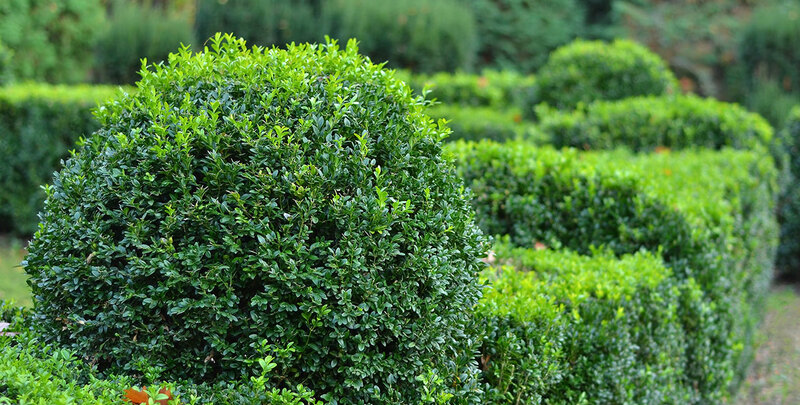 If you choose to use your box shrubs for topiary, we strongly recommend trimming your shrubs twice a year, preferably around May and in the early autumn, in order to keep the shapes clearly defined.